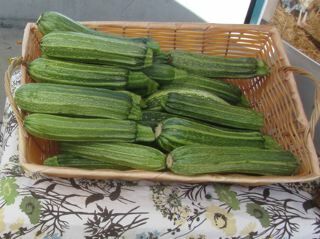 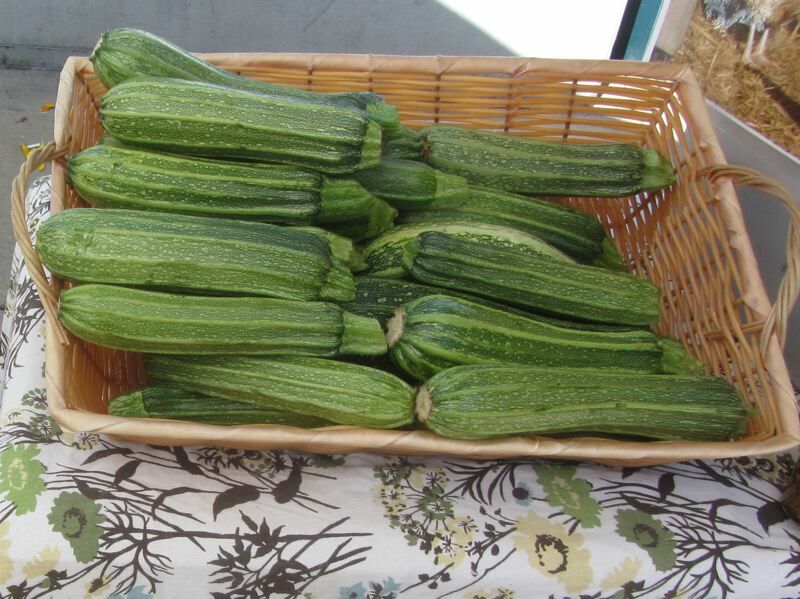 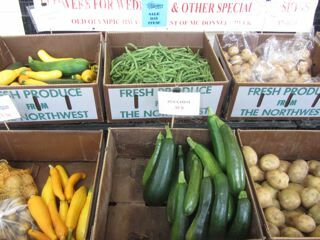 It must be summer, at long last, they're selling summer squash. 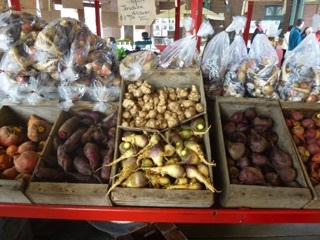 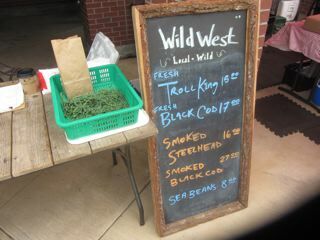 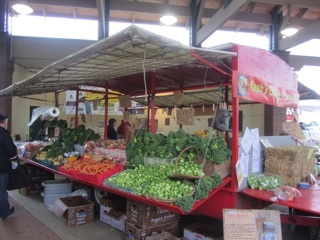 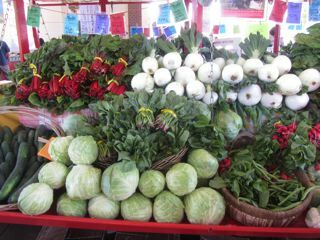 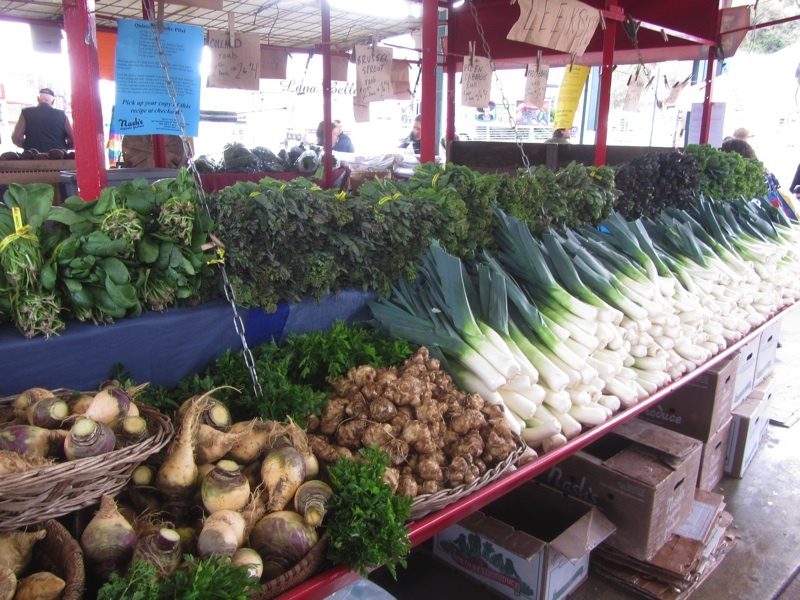 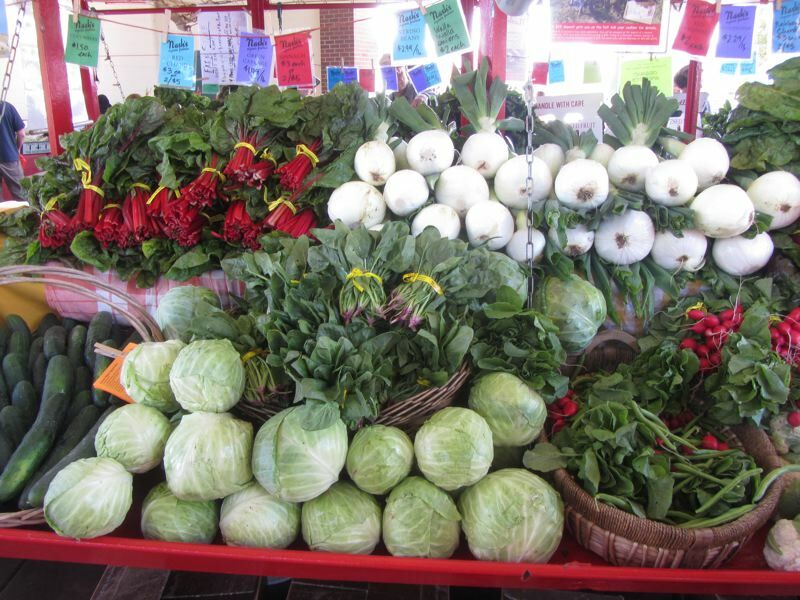 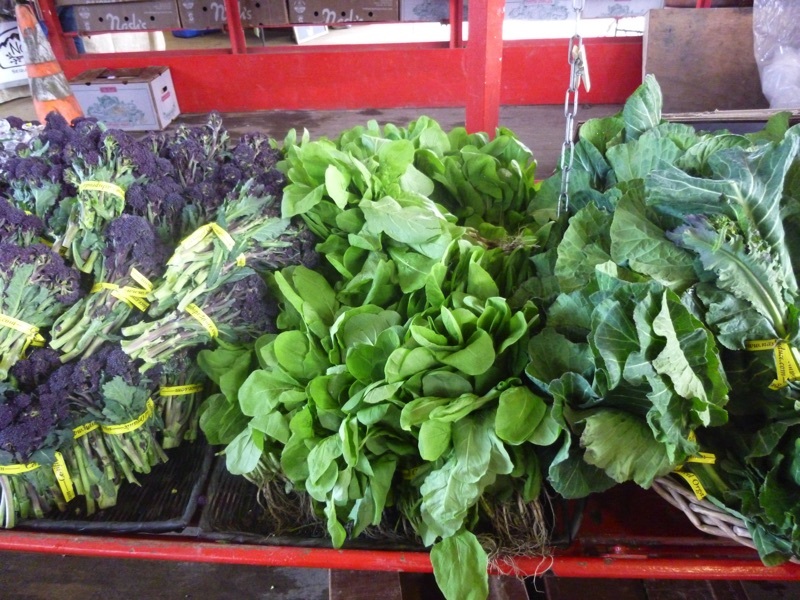 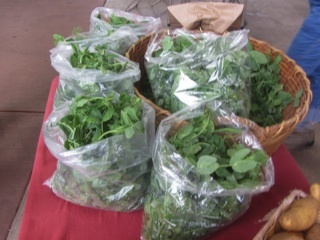 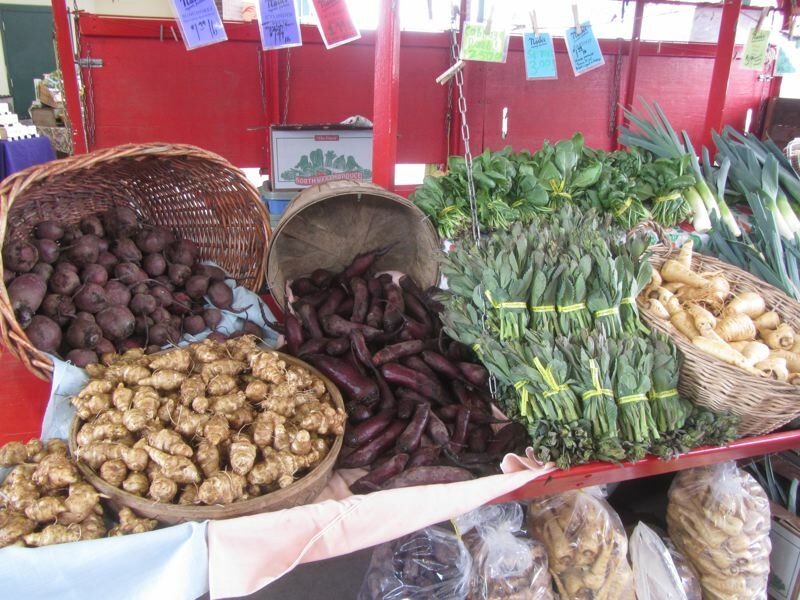 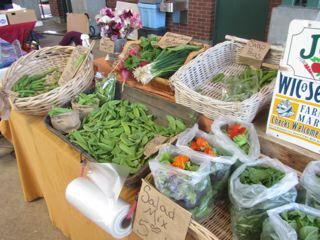 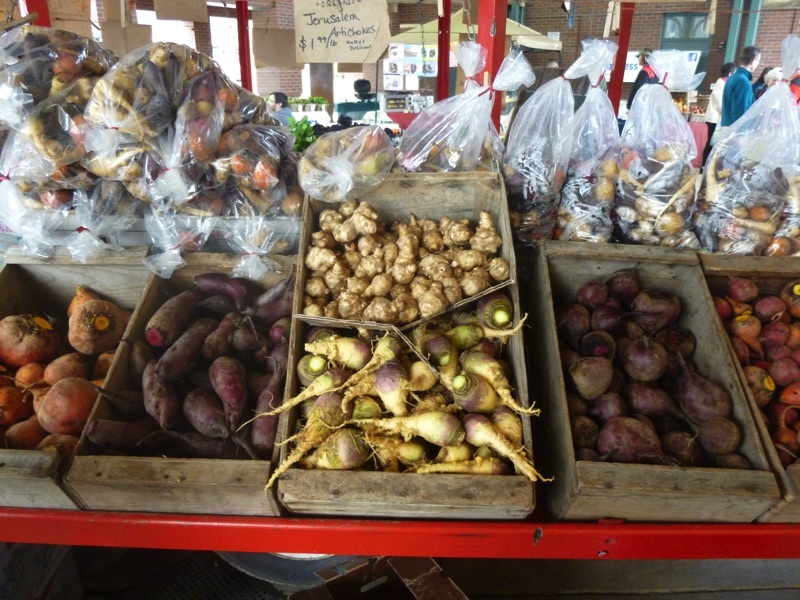 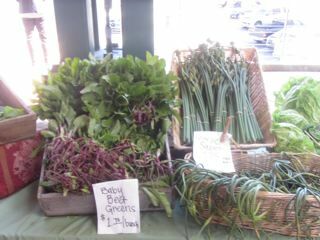 They're also selling mustard greens, scallions, collard greens, potatoes and a host of other things. 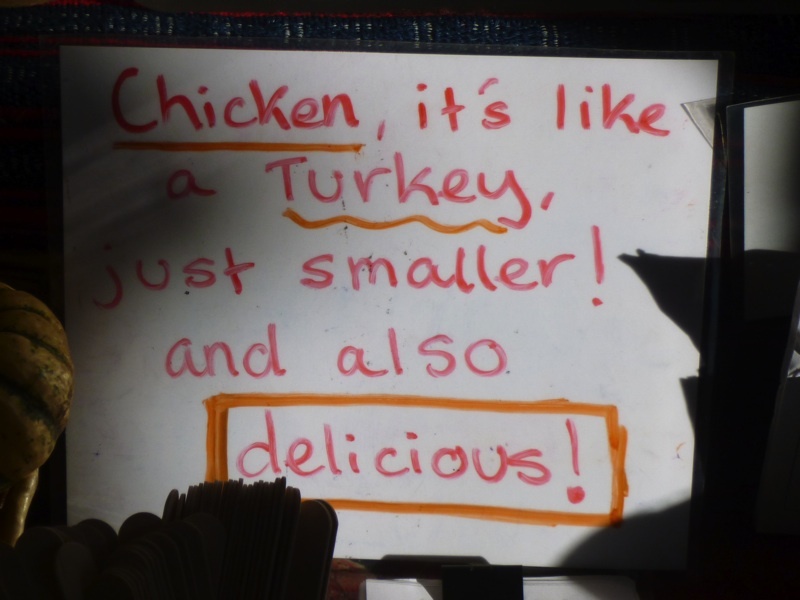 At Clark Farm, Mrs. Clark gave us the details on their most recent chicken adventure, so we bought a couple of hard won, hard plucked birds and a chunk of pork roast with the skin on. 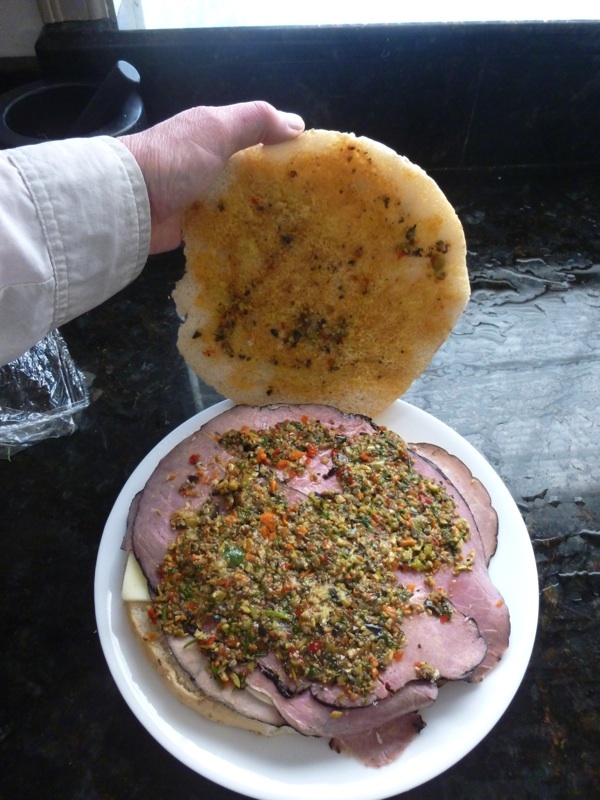 We're going to try and make an almost porchetta. 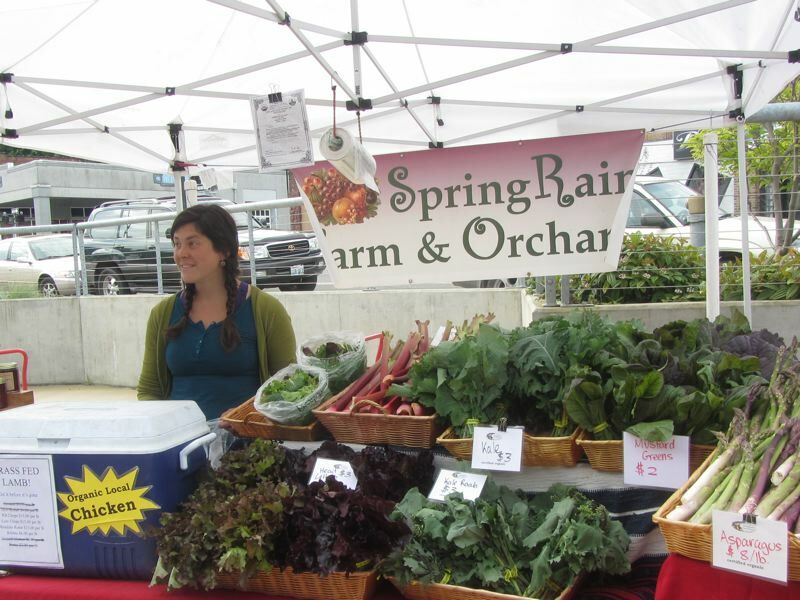 Spring Rain Farm, it turns out, is selling turkeys. You have to call and order one, so we're going to do that soon. 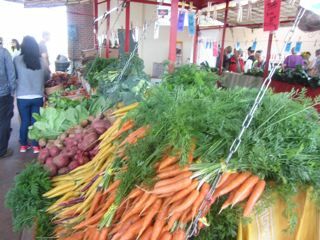 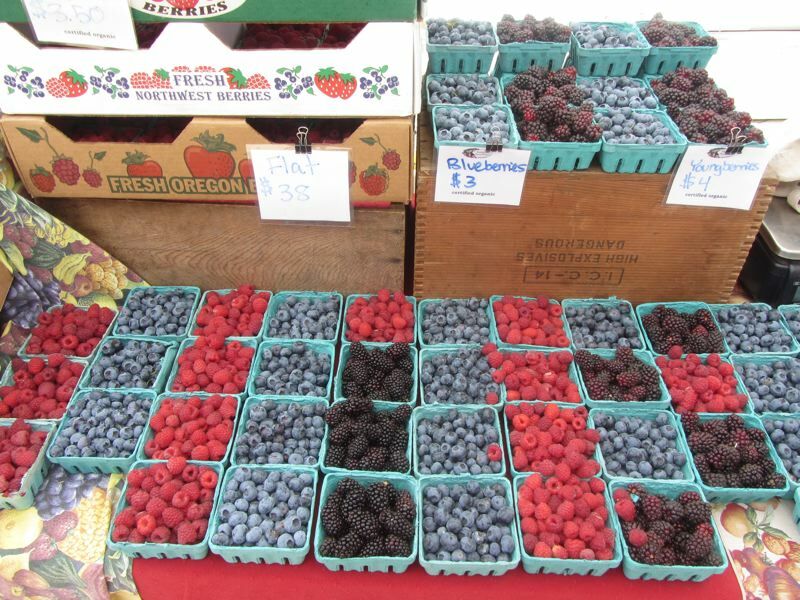 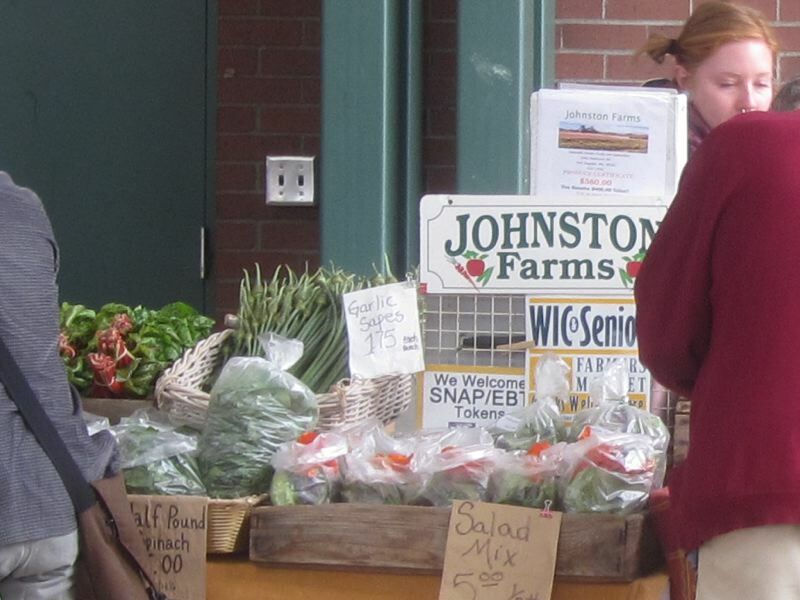 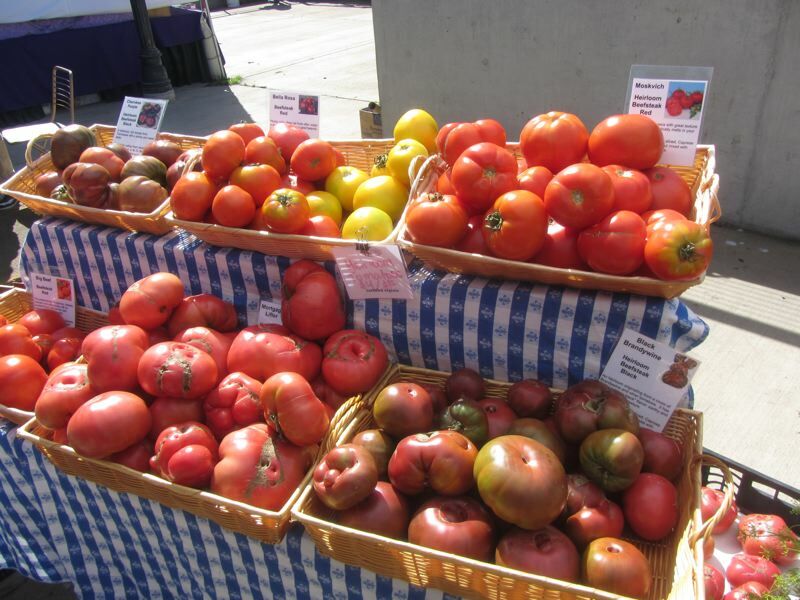 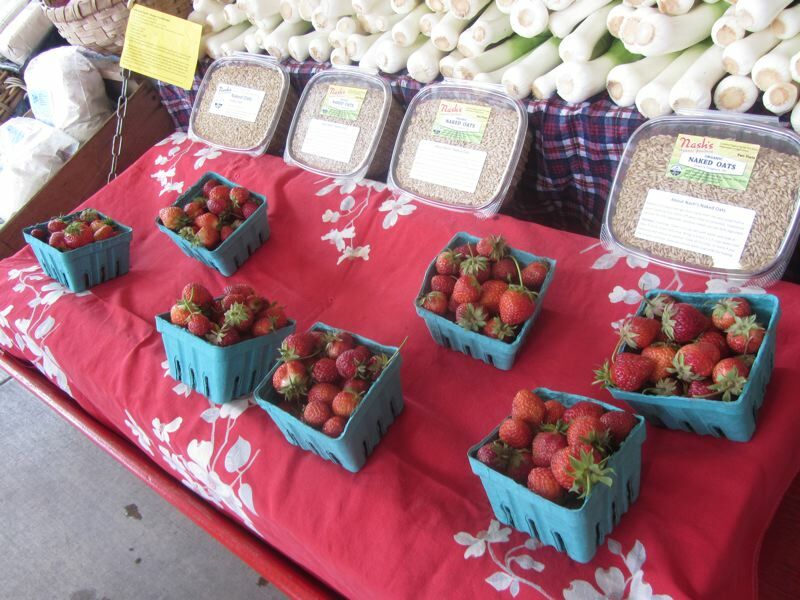 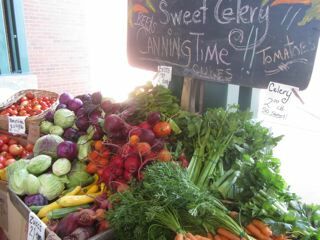 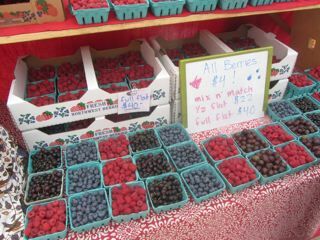 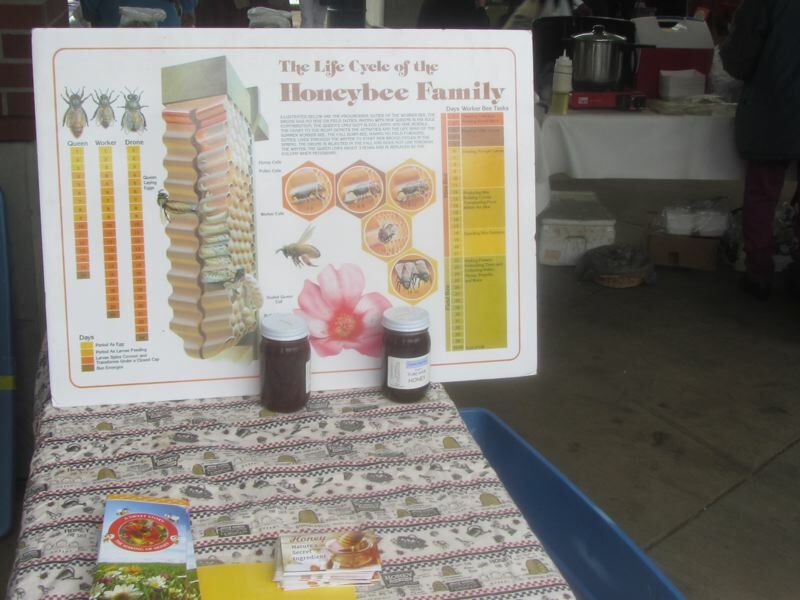 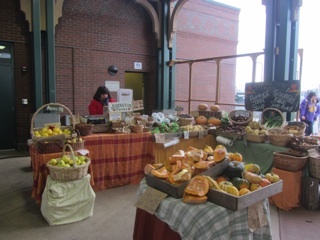 We've got to start taking more pictures at the Farmers' Market. 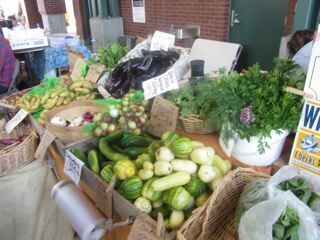 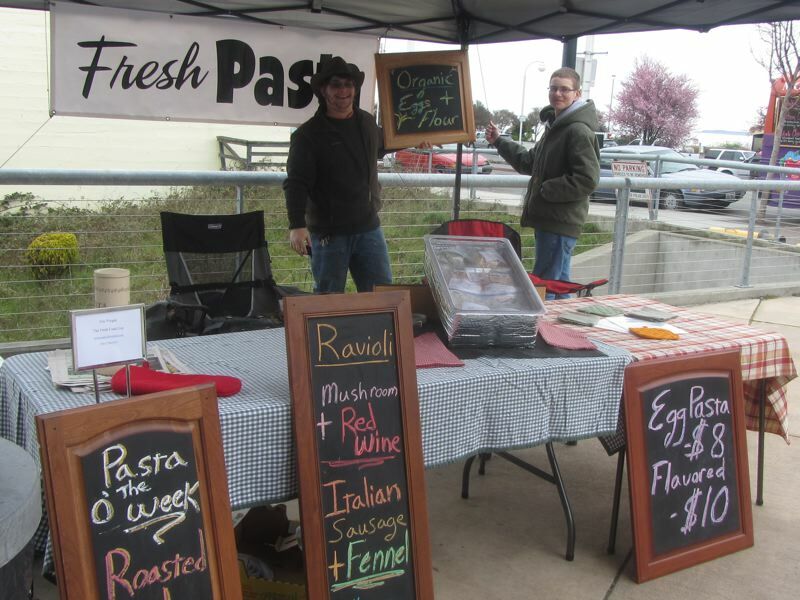 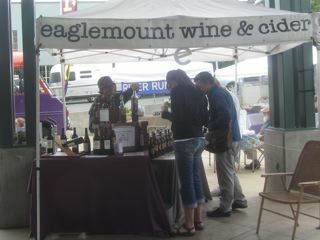 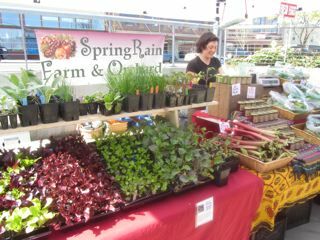 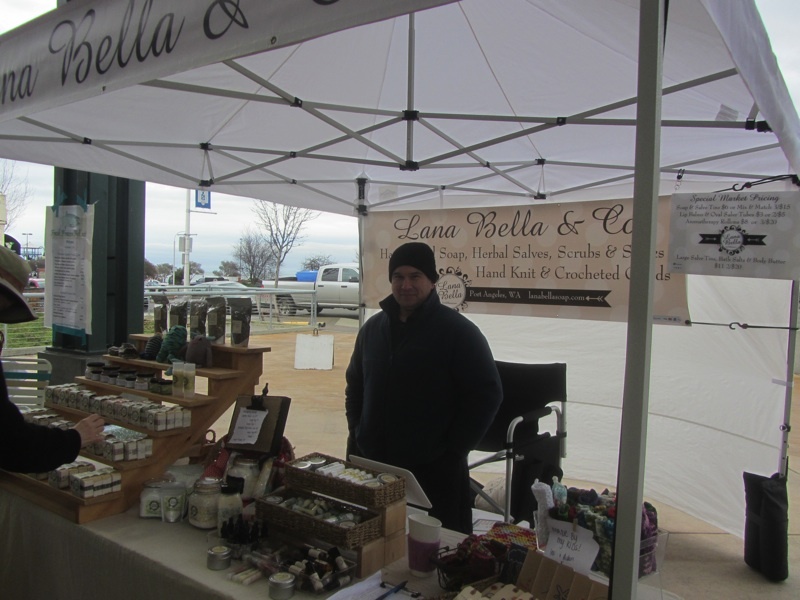 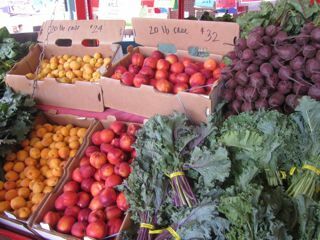 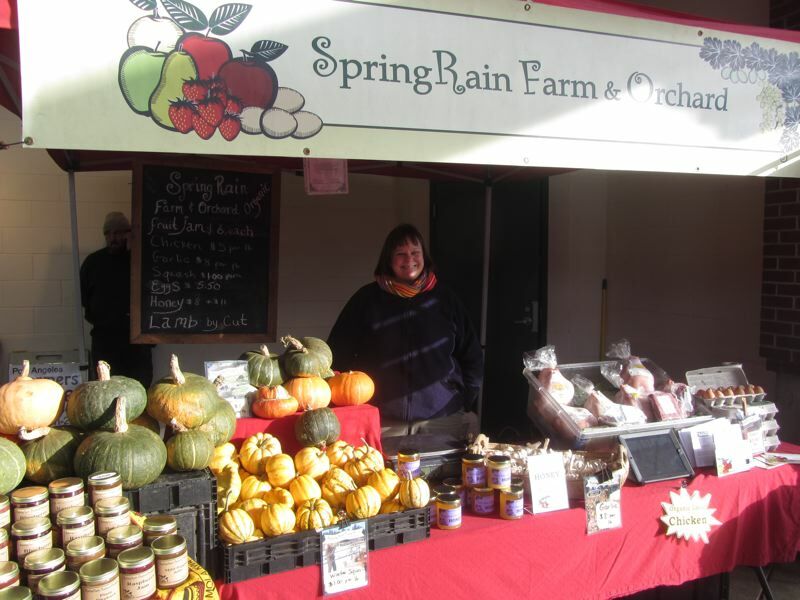 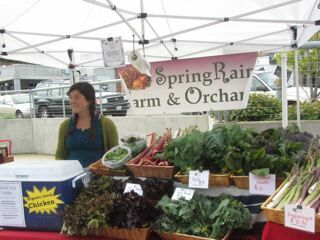 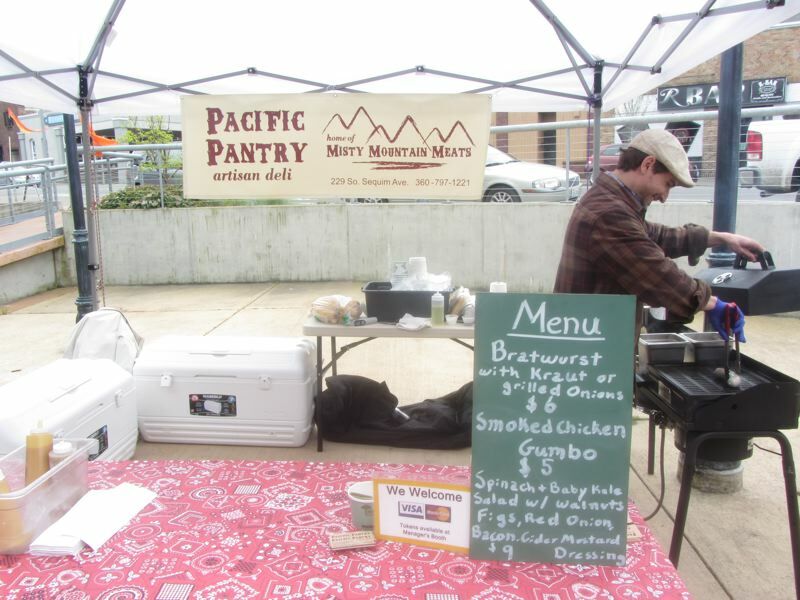 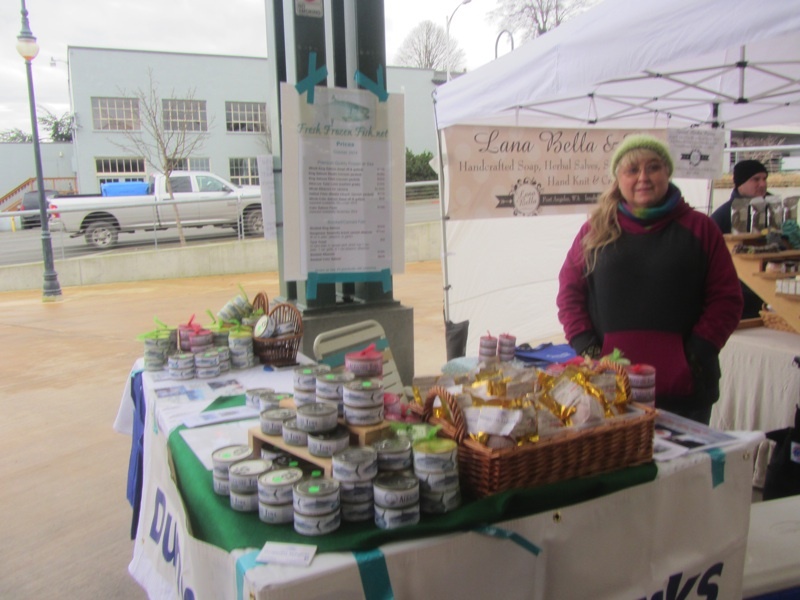 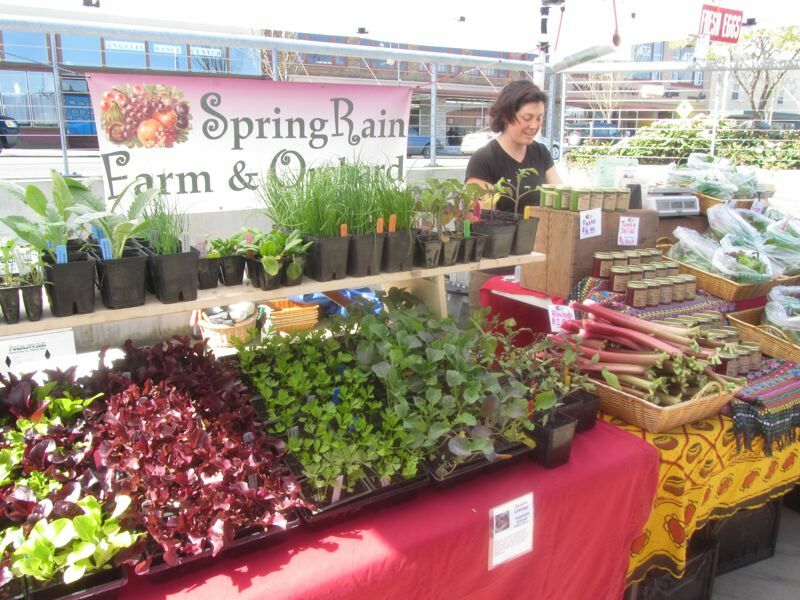 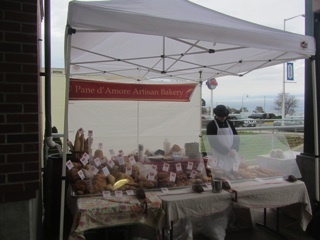 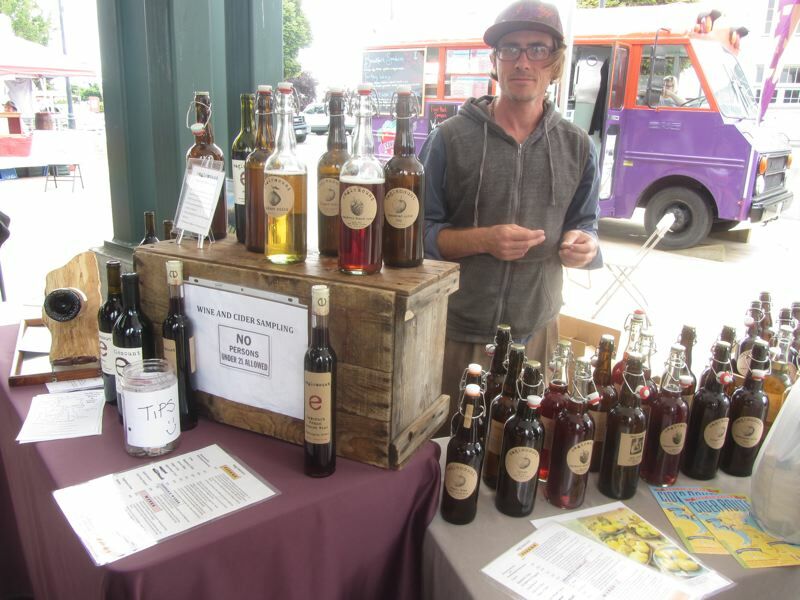 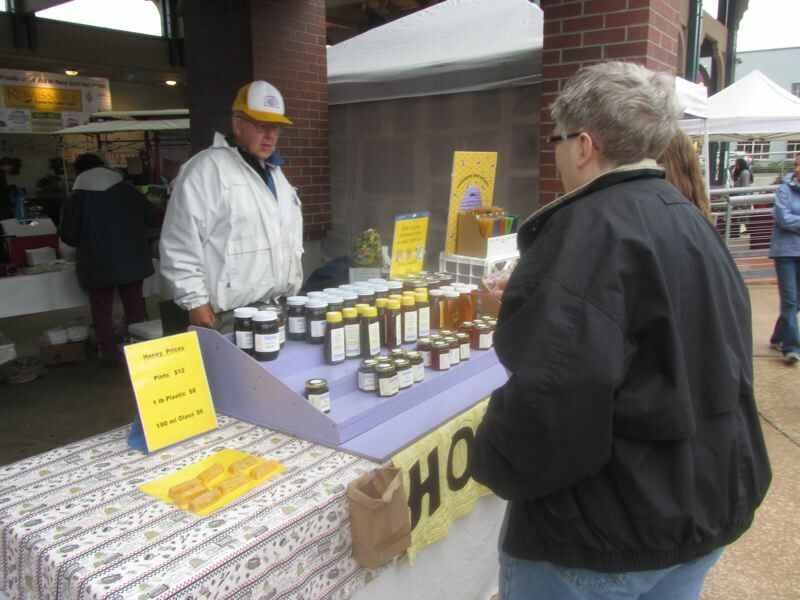 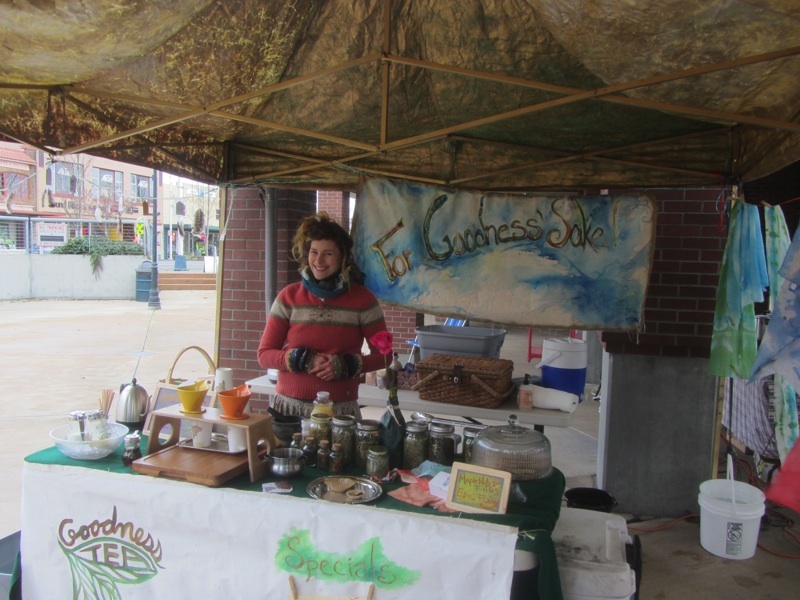 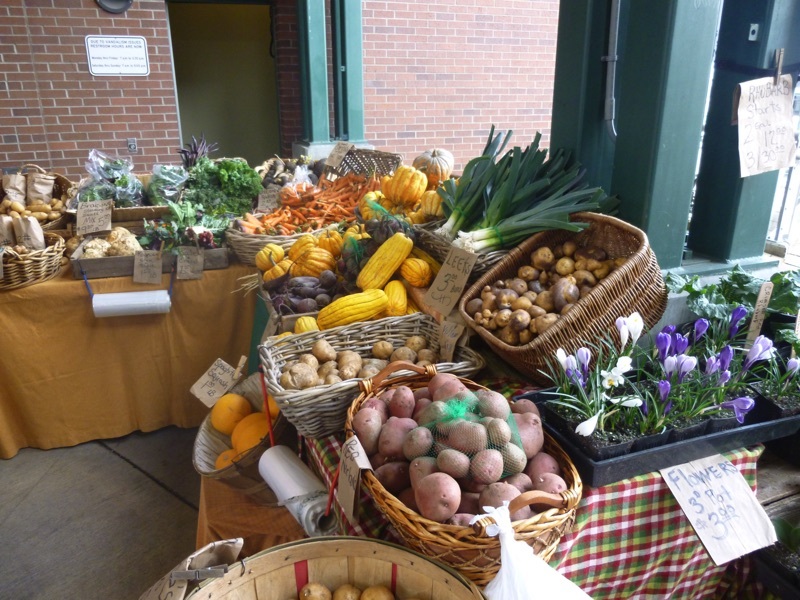 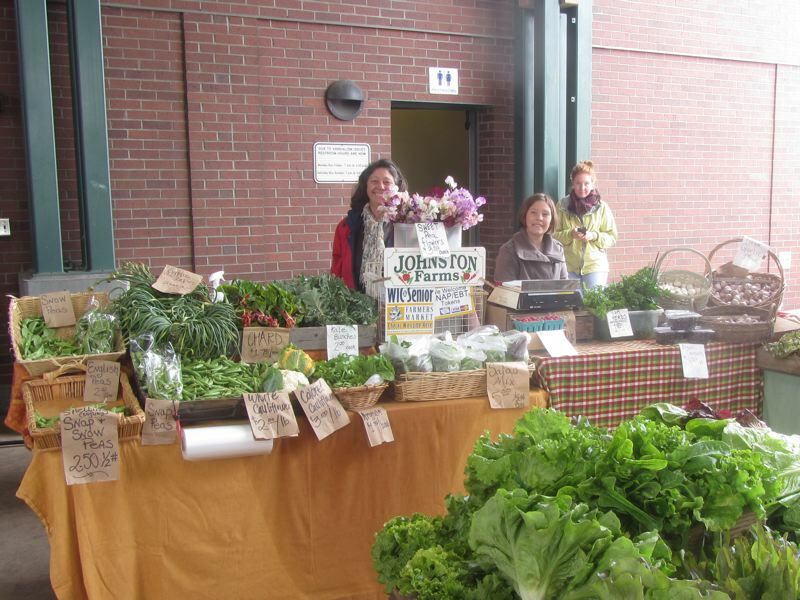 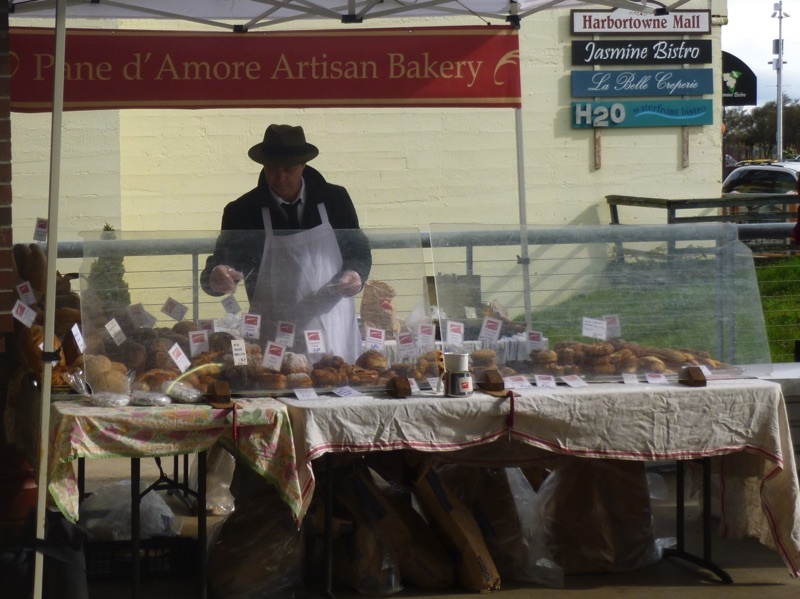 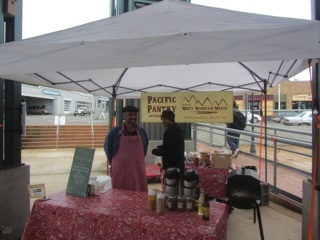 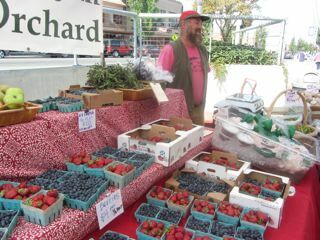 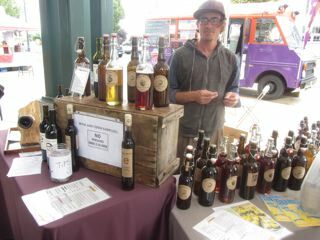 Things have been a bit thin at the Port Angeles Farmers' Market lately, so Spring Rain Farm & Orchards is a welcome new presence. 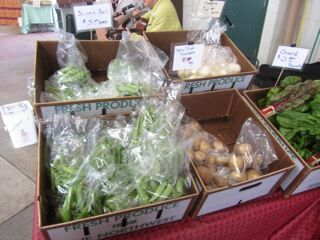 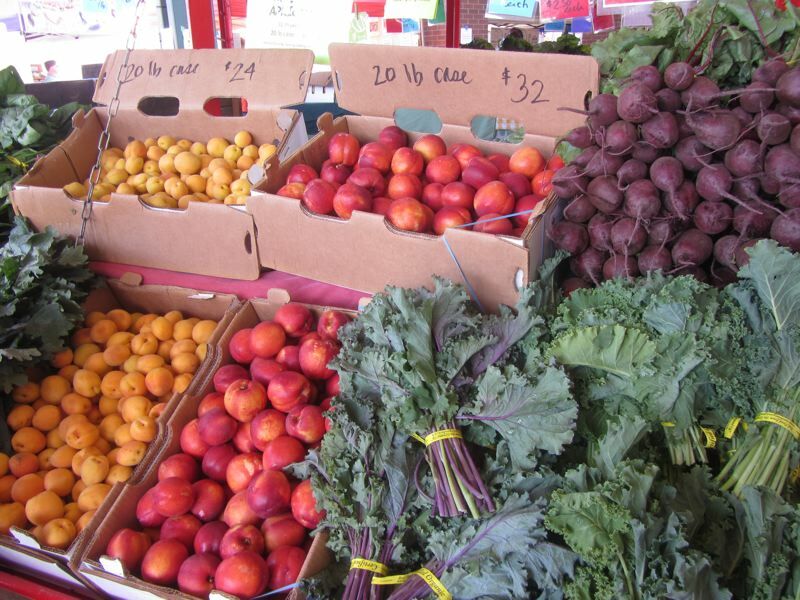 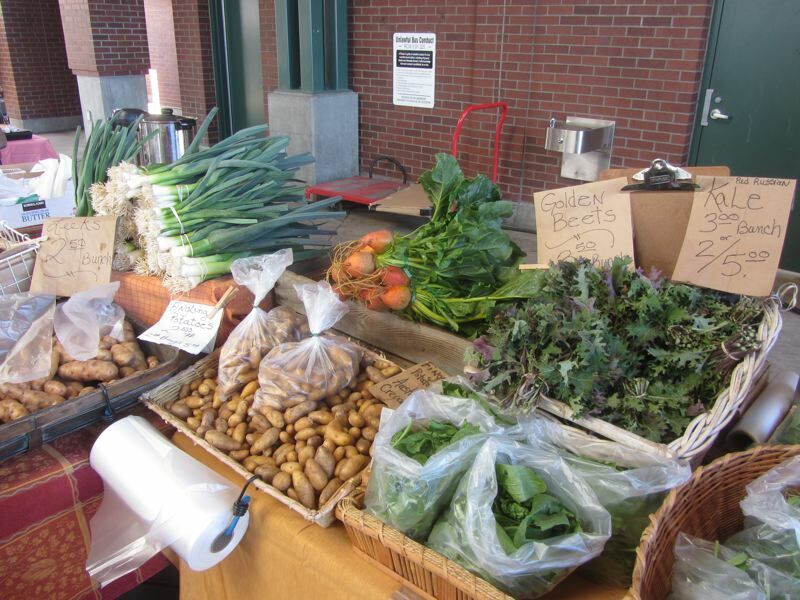 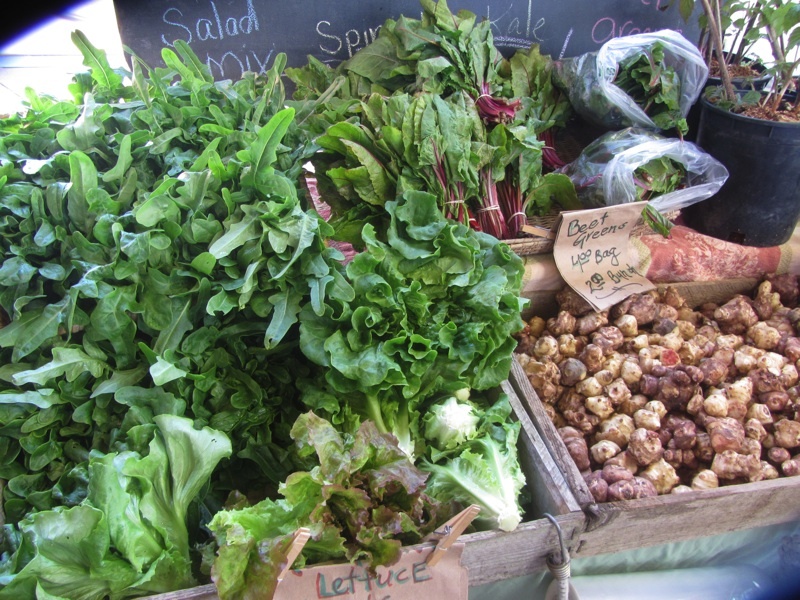 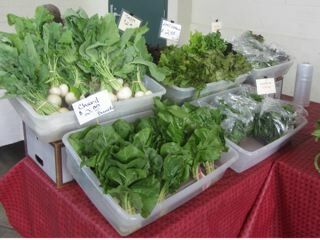 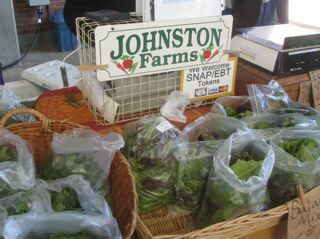 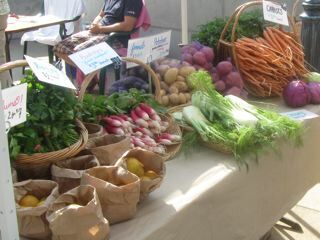 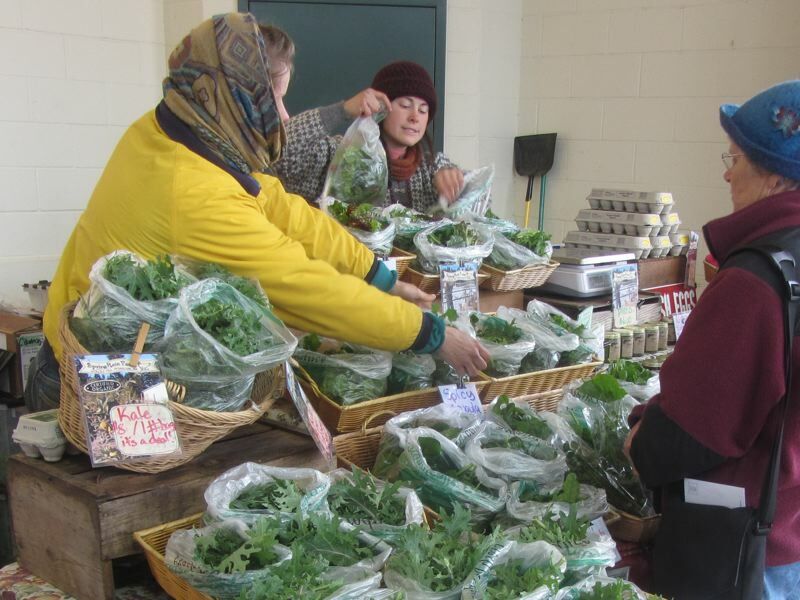 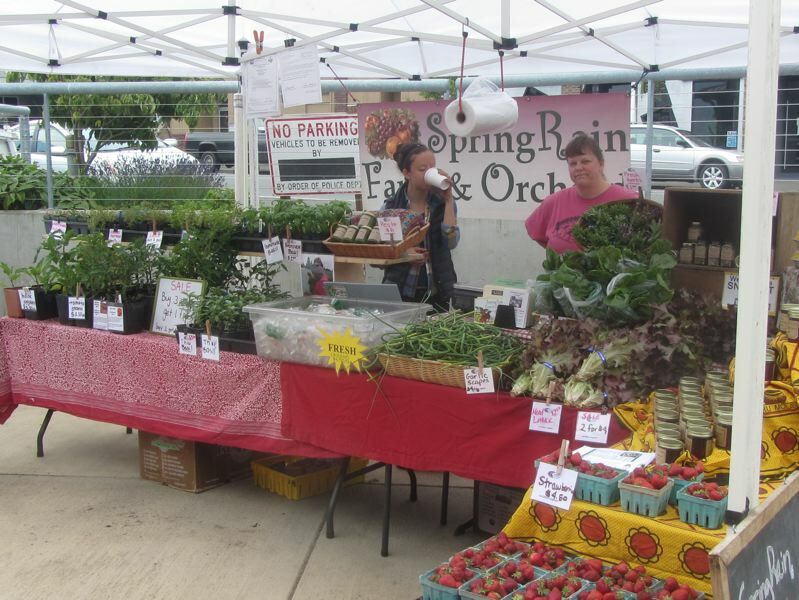 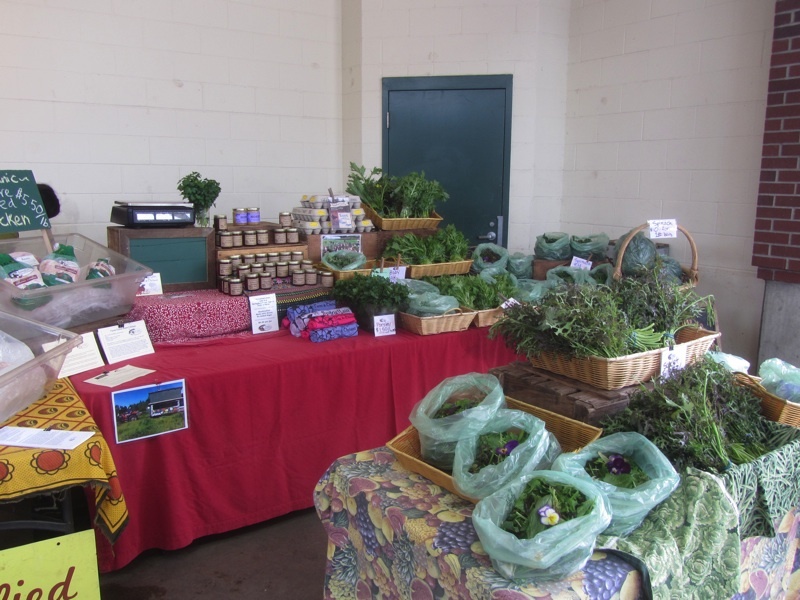 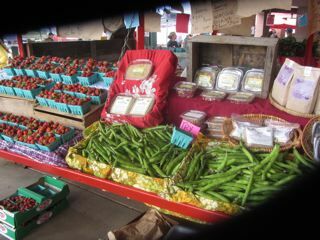 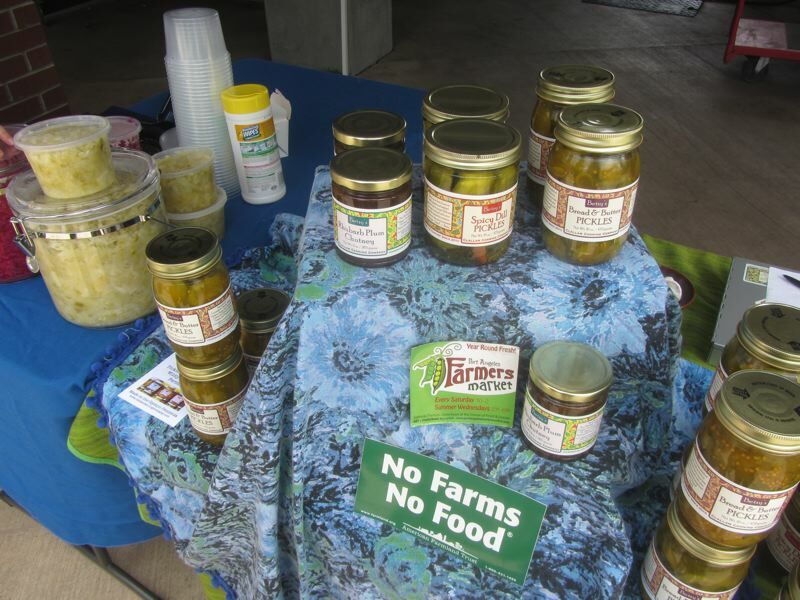 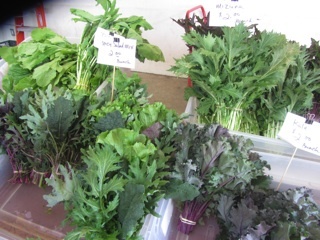 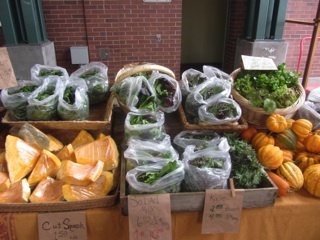 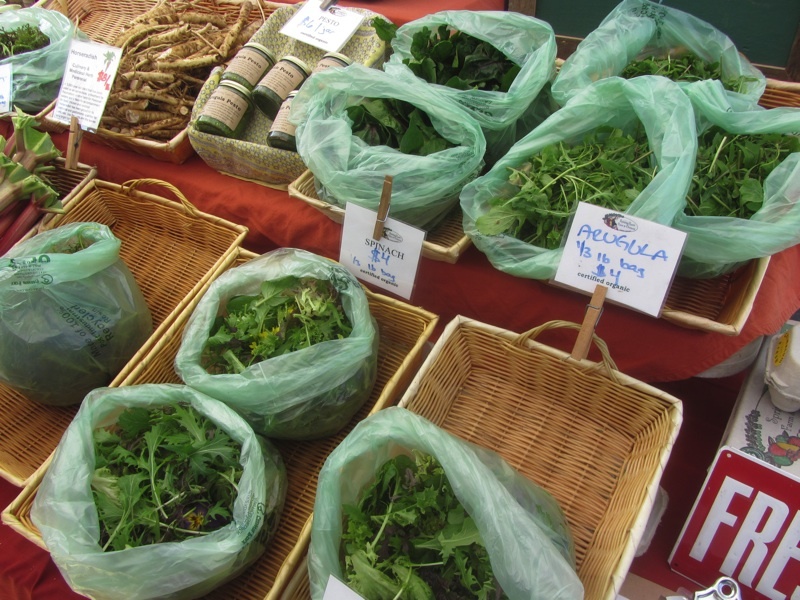 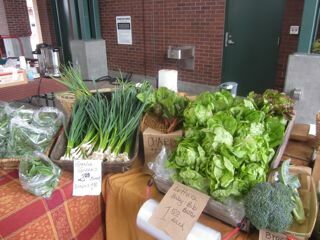 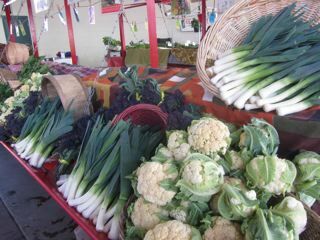 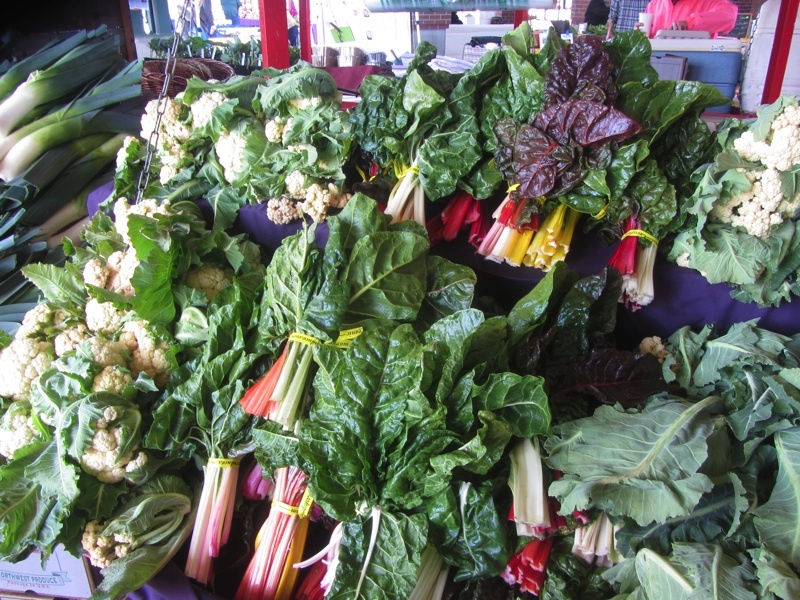 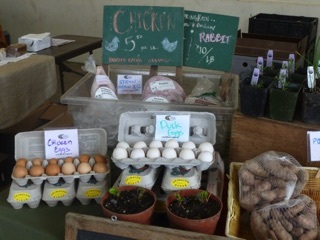 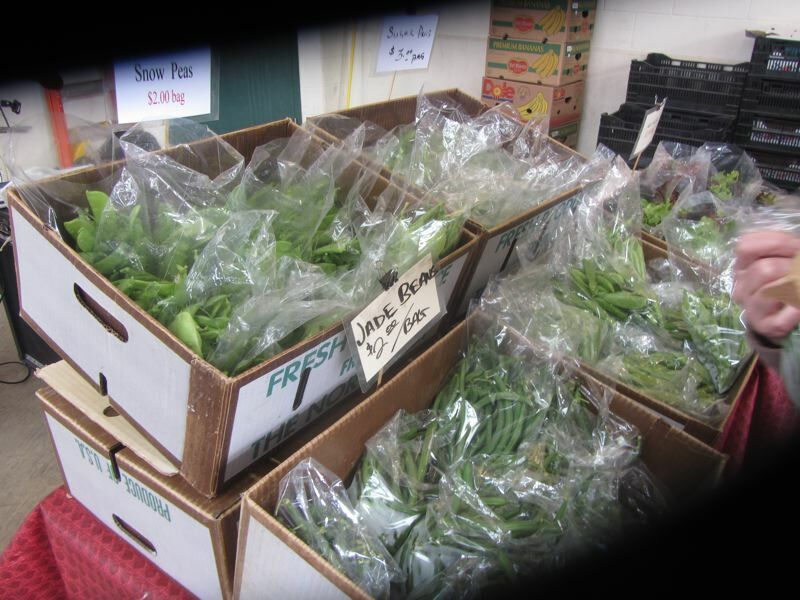 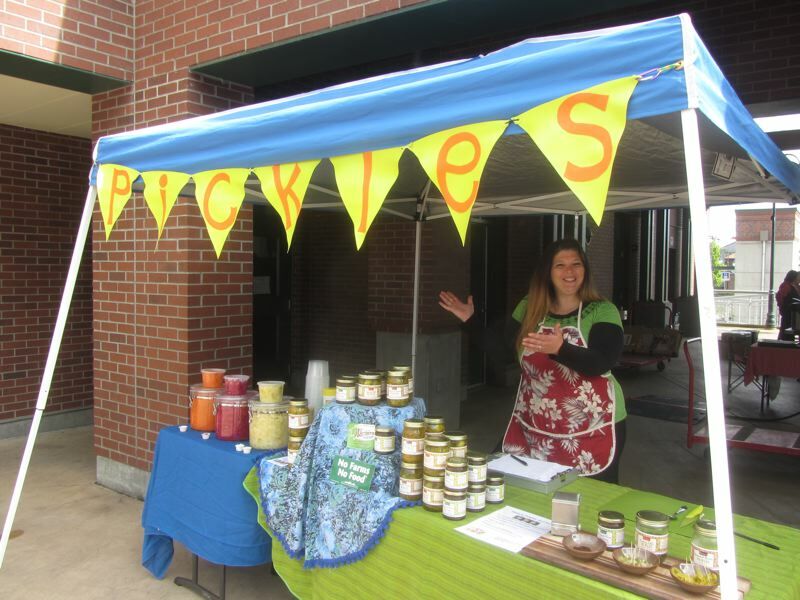 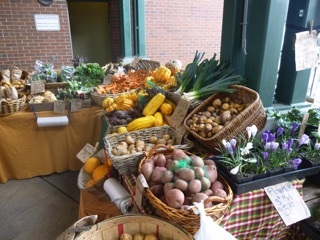 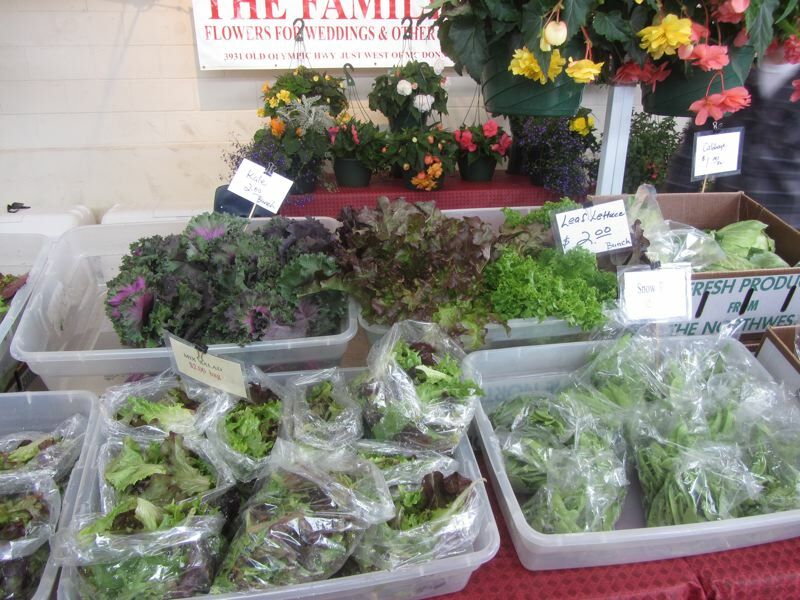 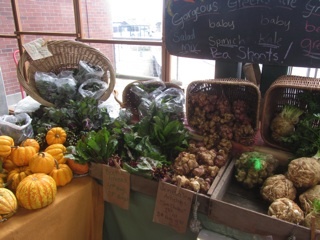 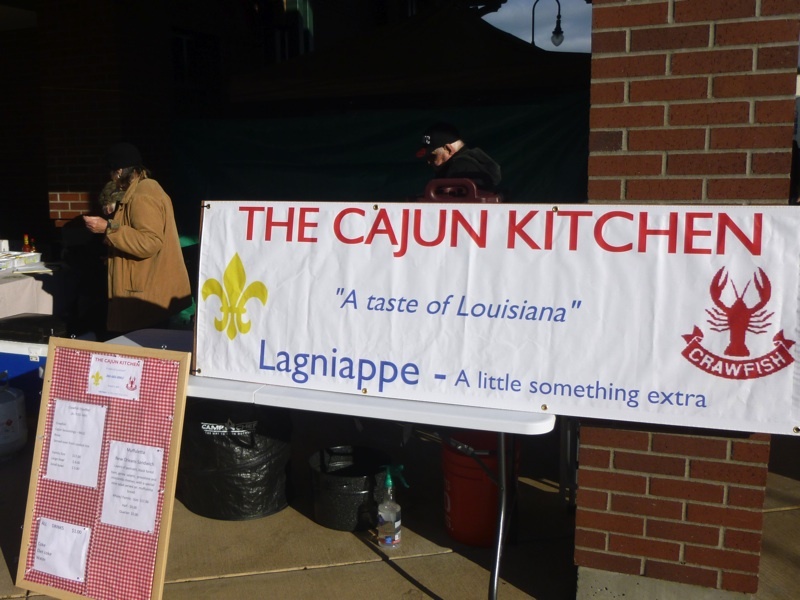 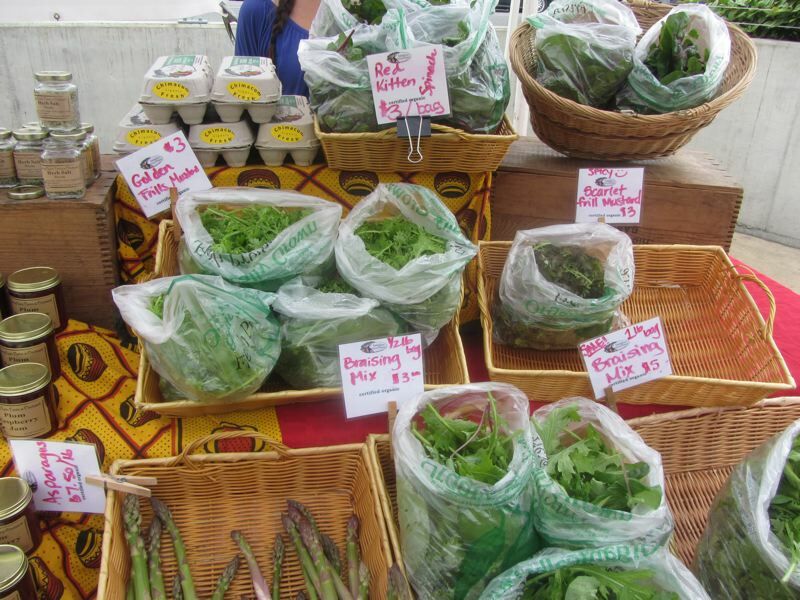 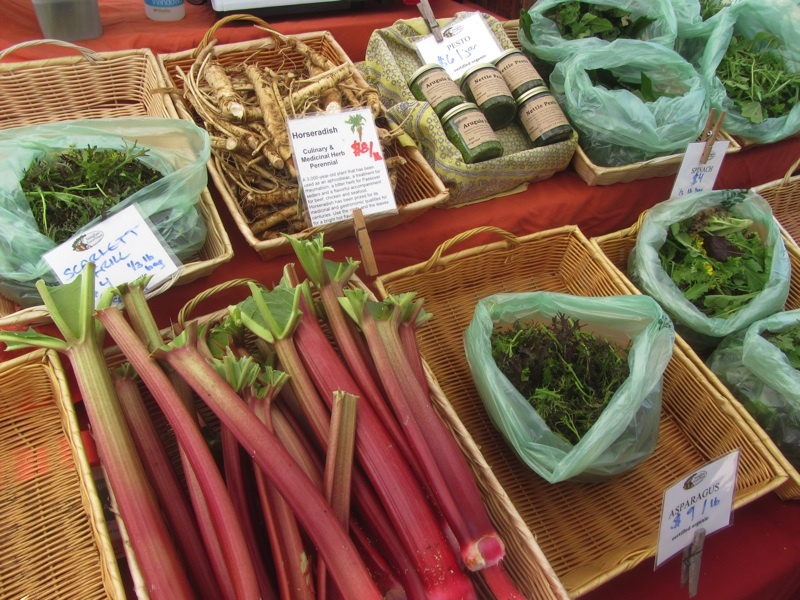 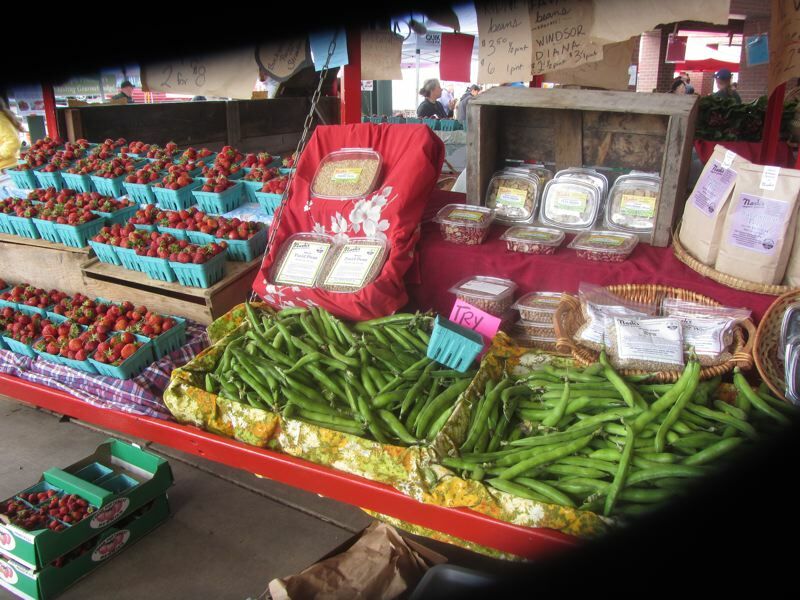 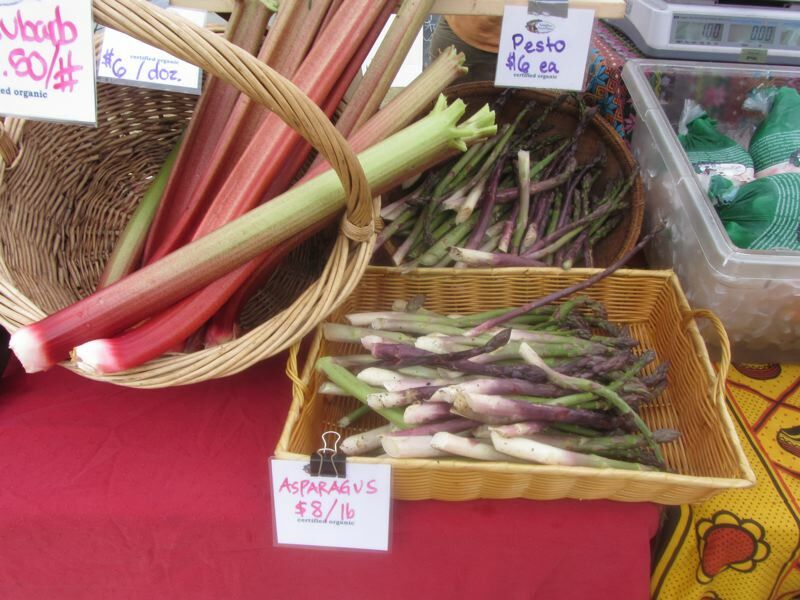 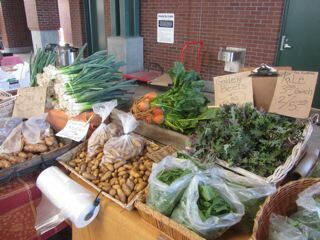 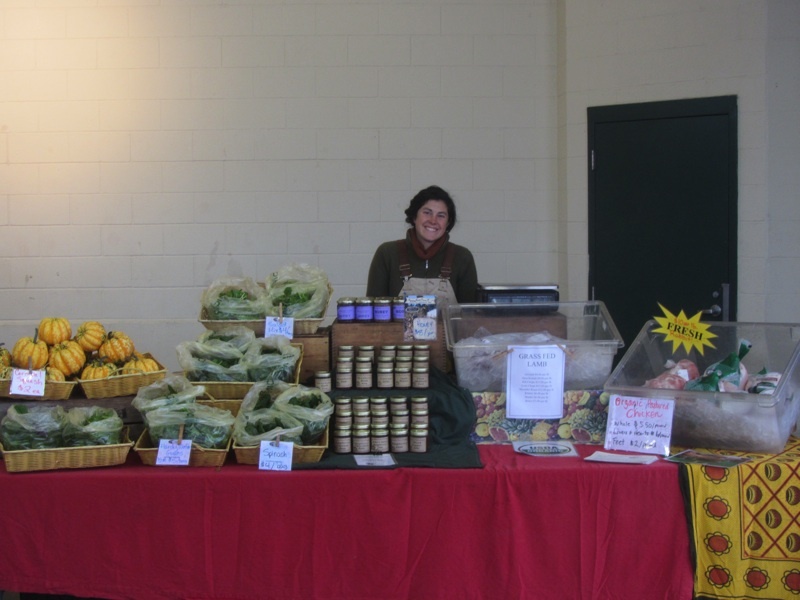 They are from over in Chimacum and are sellnig asparagus, greens, lamb and eggs. 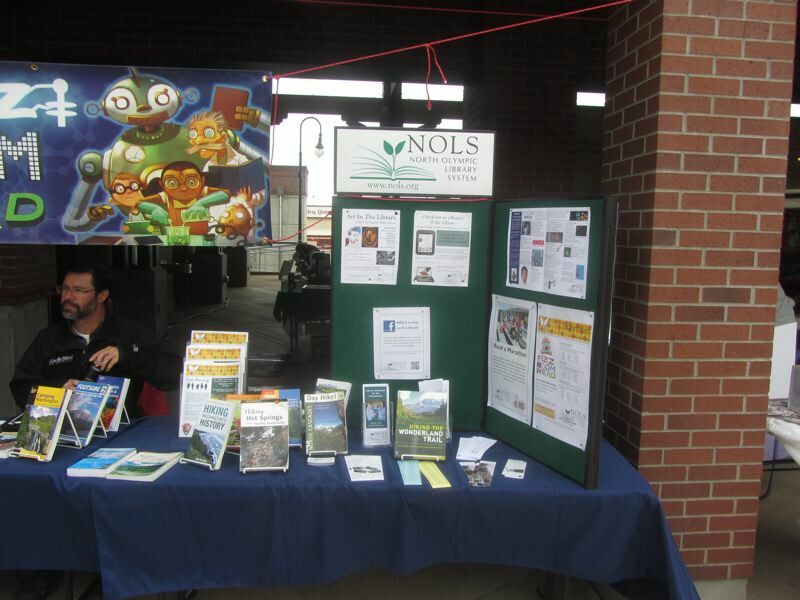 Their card says they are run by John Bellow, Ph.D. We're looking forward to their season. 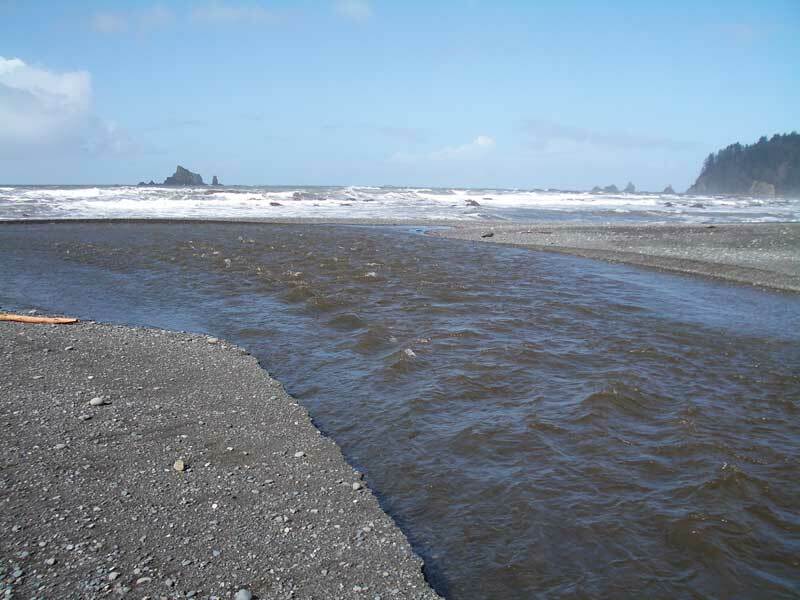 One of the problems with visiting Rialto Beach when one is very clumsy is that about a mile north of the parking lot there is a river to cross. Most of the time this river is rather shallow, so we wade across. One time, the tide was so low that we could cross near the ocean where the river ran under the sand. On our last visit, we could not cross at all. 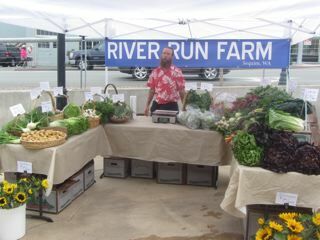 As you can see in the picture to the left, or more graphically in our video, the spring rains have filled the river nicely. 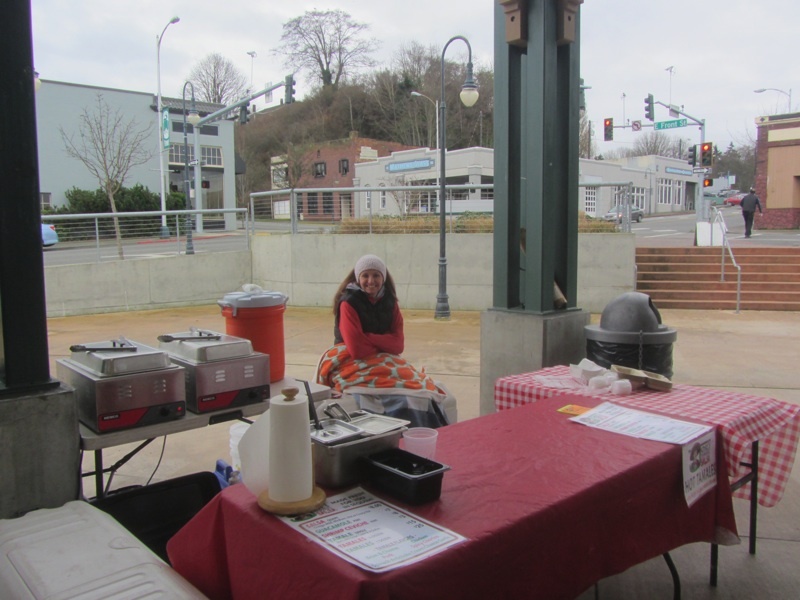 The water was deep and the current strong. Even if we had not been so clumsy, our crossing was unlikely. 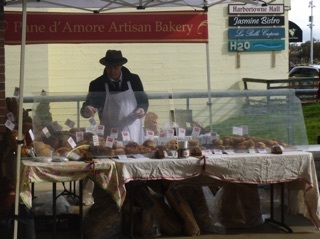 Most of the crossing logs have been washed away. A few intrepid sorts had managed to cross on some logs a bit upriver, but this was beyond us. We'll be back at Rialto Beach again soon, and we'll hope the high waters have subsided.